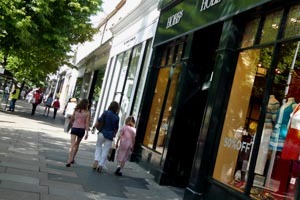 Business rates will not be payable in the first three months that a property is empty. This is extended to six months in the case of certain industrial properties. After this period rates are payable in full unless the unoccupied property rate has been reduced by the government by order. In most cases the unoccupied property rate is zero for properties owned by charities and community amateur sports clubs. In addition, there are a number of exemptions from the unoccupied property rate. Contact the business rates team for further information. If the unoccupied property rate for the financial year has been reduced by order, it will be shown on the front of your bill. The government introduced a temporary measure for unoccupied new builds from October 2013. Unoccupied new builds will be exempt from unoccupied property rates for up to 18 months (up to state aid limits) where the property comes on to the list between 1 October 2013 and 30 September 2016. The 18 month period includes the initial 3 or 6 month exemption and so properties may, if unoccupied, be exempt from non-domestic rates for up to an extra 15 or 12 months. Full details on the eligibility criteria and on how to apply for this relief are available by contacting the business rates team.